It’s not secret I’m obsessed with mermaids, and my friend Caz is as well. We realized there wasn’t an official mermaid holiday, so we decided to make one ourselves! Let it be known that August 18th from here on out will be known as International Mermaid Day! We welcome you to participate. There are a bunch of ideas of how to celebrate on the Facebook event page, where we’d love for you to share your posts, pictures, quotes, thoughts, and more. Now I’m turning it over to Caz for a guest post about mermaiding! Hi everyone! I’m Caz, but my mermaid persona name is Abyssia. I officially declared myself a mermaid just over a year ago when I bought my tail, but I’ve been inspired by them my whole life. Since I could walk I’ve been swimming, starting off with competitive swimming before moving on to synchronized swimming, lifesaving, and even giving scuba driving a go. I always loved being underwater- I think it’s the closest feeling you can get to flying. Like most kids who loved the water. I was intrigued with mermaids, those amazing, powerful swimmers, who have ultimate freedom underwater. Mermaids* can symbolize many things: Feminine power, body acceptance, exploring the depths of our subconscious, independent women free of demands & judgements on their bodies… the list goes on and I’m sure there are many that other merfolk could add. Mermaids may have different meanings to you and that’s awesome! I’d love to hear your interpretations in the comments. I asked folk what they’d like to know about being a mermaid, and below are some of their questions, with my answers! *I talk about ‘mermaids’ in this article, because that’s the term I use for myself, but when I use it in general terms I’m also referring to mermen and merpeople! What inspired you to become a mermaid? I’ve wanted to be a mermaid all my life, especially when I was a synchronized swimmer and working hard to develop grace and elegance in the water– even during difficult manoeuvres and after long periods of no oxygen. I’m a huge mythology geek and fell in love with them through stories from around the world, and through the many meanings behind them. But it was only in my mid-twenties that I found out that it was a real possibility after seeing beautiful tails appearing over the internet! Even then I held off for a few years, afraid of ridicule and being laughed at, or worse, shamed for being too fat, too old, too ugly to be a mermaid. After a period of illness a few years ago, I finally threw fear to the winds and bought my first mermaid tail. From the first time I wore it I’ve had nothing but compliments and lovely feedback, and I wish I’d done so years before! Answers vary on this one, but ‘pod’ seems to be a popular answer. ‘Tribe’ can work too, and some people like ‘school’, but given that merfolk are part mammal, that seems too fishy to me. I’m Trans/Genderqueer and/or lesbian, gay, bi, pan, ACE, etc. 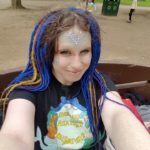 Is there a place for me in the mercommunity? There are many LGBTQ people in the mercommunity! I think those of us who’ve had to deal with feeling different to others in our community for a long time are more likely to take the plunge and embrace their dream, not willing to be content with ‘normal’ when life can be amazing! I’ve found the mercommunity to be wonderfully non-judgemental. We are all united through our love of merfolk, and value each other for our talents, uniqueness and ability to pull on a silicone tail without sweating. I was really excited to learn that there’s a UK charity called Mermaids, which works and supports with Trans and gender variant children & young people. Check them out! Coral cakes and seaweed burgers of course! How do mermaids have babies? What’s your favourite thing about being a mermaid? The confidence it gives you! Despite long-term issues with body dysmorphia. I’ve always felt comfortable with my body in the water, and this carries through to my mermaid-persona. In the water, body shape and weight are mostly immaterial, and a mermaid tail transforms us all into the empowered, gorgeous and glorious beings we are deep down. Plus, I’ve found that you can make a lot of people very happy just by appearing as a mermaid in public. When friends and I did a photoshoot at a local park, so many people stopped to smile and ask questions and take photos. Kids especially loved it! It’s so much fun to bring a bit of magic into people’s lives. How do you swim in a mermaid tail? Do you need any special training or tools and equipment? All it takes is a good butterfly kick! The fluke of most mermaid tails is a monofin, with footholes for your feet to go in. It can take a bit of wriggling to get your feet properly situated in a silicone tail, but once its own, you’ll find butterfly kick will have you soaring through the water. It is advisable to be a strong swimmer before you try swimming with a tail. While they aren’t particularly difficult to swim in, less confident swimmers can find it a little scary to have their legs confined and to not be able to easily stand on the pool floor. Always try your tail out in shallow water first, with someone there to help you out if you get into difficulties. I’m plus-sized/Goddess size/have a big bust/a flat chest/no curves/not many muscles/a non-gender-confirming body/visible disabilities—can I be a mermaid? Absolutely! There is no right body shape to be a mermaid. Some mermaids are very slim and svelte. Others are curvy with plenty of padding. Some are lean, some are muscular, some are round and some are straight-up, some have four limbs, some don’t. Some have unique markings, others are without. Everyone can be a mermaid! If you’re looking for a tail to fit a goddess (or god) sized body, The2Tails do a range of awesome ‘Curvy/Big’ Mermaid & Mermen tails, especially created for those rocking bigger sizes, in all their signatures fabrics. Are there mermaid schools/courses out there? Absolutely! More and more of these all the time. In the UK there’s a mermaid freediving course run by Freedive UK that I absolutely want to do next year. Weeki Wachee Park (famous for their mermaid shows) run mermaid courses each year. Other than that, google is your friend, or chat to other mermaids in your area! How can I learn more about being a mermaid/merman/merperson? 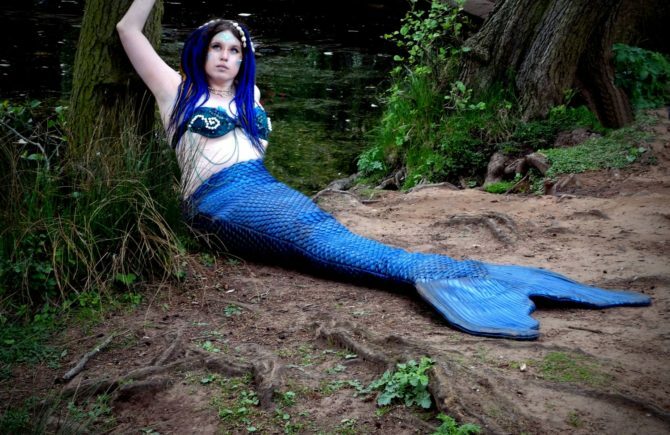 The mer network has an incredible list of resources put together by professional and long-time mermaids, covering everything from making and buying tails, to hair and make-up, to how to go pro. I recommend joining the forums too. Other than that, read blogs, find your local merpod (or start one) and talk to other mermaids. Watch YouTube tutorials. Immerse yourself in the wonderful world of merfolk! 1. Fall in love with the water! Whether you love to swim, to paddle, sit close to lakes and oceans and enjoy their timeless tranquillity or revel in the awe-inspiring power of waterfalls and rivers, embrace the element of water into your life, with all its many meanings. 2. Love yourself. Mermaids are huge advocates of self-love, and don’t care a jot for the judgement of others. On land, people often judge us and make us feel that our shape, size, skin colour, gender identity, style, body modifications like tattoos and piercings etc. mean that we’re not 100% gorgeous and amazing in every way. Well merfolk are having none of it! Every mermaid (or merman, or merperson) is incredible, and beautiful and imbued with personal power and talents, and that includes you! 3. Mermaid your face! There are tons of make-up tutorials on YouTube and Pinterest, and you can have a lot of fun giving yourself scales and sparkles. 4. 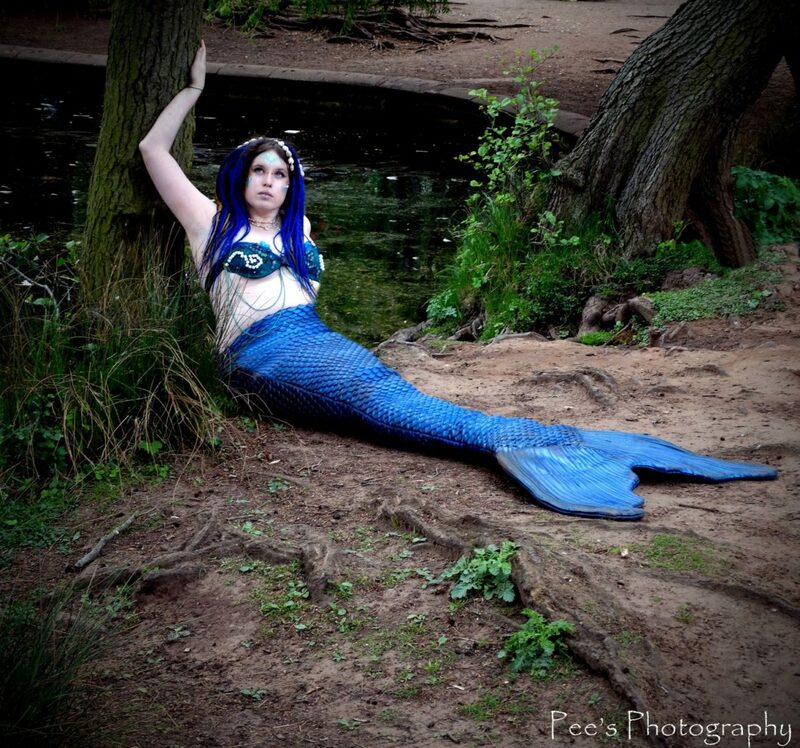 Do a photoshoot—whether with a professional photographer, or with a friend and their smartphone, mermaids know the value of getting some great photos of yourself. 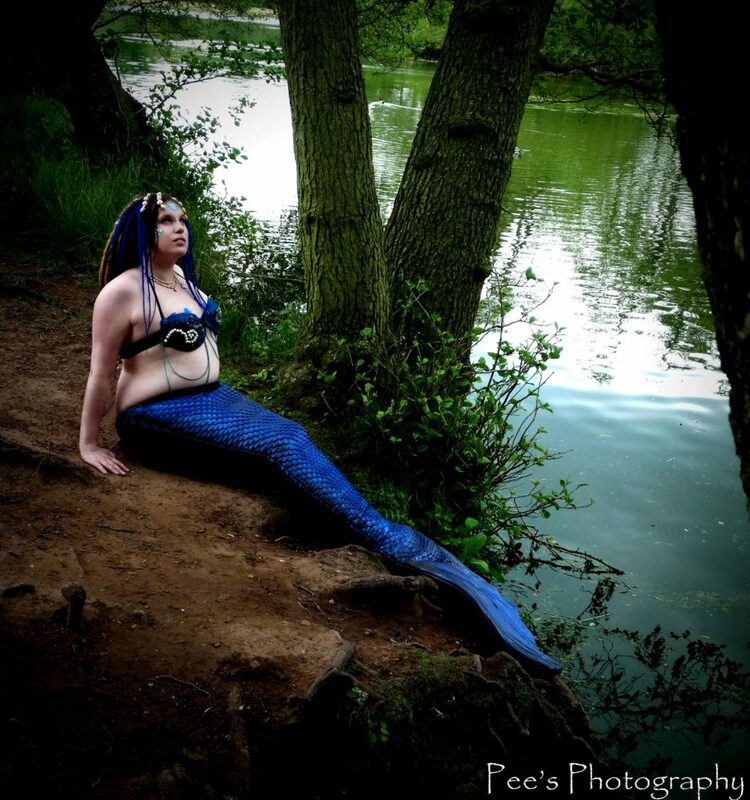 The world tells us we shouldn’t be ‘vain’ about our appearance but mermaids know that it’s not vain to love our bodies and to find positive things about our appearance, and what better way to celebrate these then getting dressed up in your favourite clothes or a costume and rocking your style for the camera! 5. Embrace difference: Whether in yourself or in others. The sea is a vast place, probably the most diverse place in the world! Get excited about difference, try to learn all you can about everyone! Diversity can only enrich our lives, and embracing it makes the world a happier, less fearful and far more fun place to be. 6. Sing! Whether you have a voice like a siren or (like me) you just burble happily to whatever you like, put on your favourite music and sing along. It’s always a great mood boost to sing to an empowering song, whether from a musical, a pop song, a lullaby or a rock ballad! 7. Embrace your natural looks. Mermaids often don’t have time for make-up and it washes off in the sea anyway. Spend some time with your face and hair as they are, and find things you love about them. Post a selfie if you’re feeling brave! 8. Enjoy yourself. Mermaids are playful, adventurous creatures, and being one should be fun! 9. Make or buy a mermaid tail. You can absolutely be a mermaid without a tail, but if you want one, there are plenty of ways to get one! There are tons of YouTube tutorials on how to make one. This one by Mermaid Sasha looks great! Can’t sew? See if you have a friend or relative who’d be up for sewing the pieces together once you’re done, or maybe you and a sew-happy friend could make your tails together. Or it’s a great reason to learn! There are tons of mermaid tail makers out there and I’m not going to go through them all- a good google will show you. Some are better than others and it’s always best to talk to current mermaids, read their reviews or check out posts in the Mer Network to find out what people’s experiences were with different sellers. My own silicone tail came from the Mertailor, and my fabric tail from The2Tails, but there are many more amazing makers out there! What are the main types of tail? There are two main types of tails. Fabric or silicone. Fabric tails are made of stretchy fabrics that make them easy to get on and off, and very light to swim in. If you haven’t swum in a tail before, or if you’re getting one for recreational use, a fabric tail is probably a good bet. They’re a lot cheaper than silicone tails, don’t have the same drag issues and come in a wide variety of colours, prints and styles. My favourite go-to fabric tails are The2Tails Catalina tails or the Mertailor’s Ecotails but there are many more out there. Silicone tails are bigger, heavier and more expensive. Because they are fitted to you so carefully, getting into them can be hard work and takes a little while, and they can still suffer from a slight drag effect in the water. Saying that, silicone tails tend to look incredibly real, and their huge flukes can give you incredible propulsion. If you’re looking to go pro as a mermaid, or simply crave the look of a silicone tail, then these are worth investigating. My own is one of the Mertailor’s basic silicone tails and I hope to purchase one of Finfolk Productions amazing creations one day, but there are many makers out there, each with their own style. The costs of a good silicone tail run fairly high so it’s important to find a style you really love, with a maker you have faith in. Caz is a real-life mermaid and a blogger. Her blog, Rainbows and Rock Pools, focuses on positive actions and Random Acts of Kindness. She aims to bring a little magic to every day life, fill the world with rainbows and enjoy lots of cake. Aw, Caz is so cool! I was glad to learn more about mermaids. I’ve seen some videos of merpeople online, but this is the first interview I’ve read with one. Rock on! Caz is definitely awesome. Thanks for reading! !